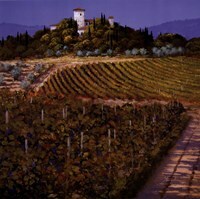 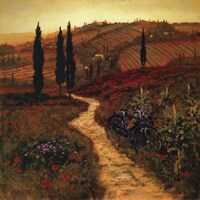 Steve Thoms sublime landscapes capture the essence of the Tuscan countryside. 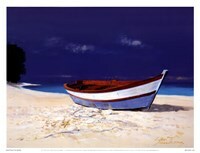 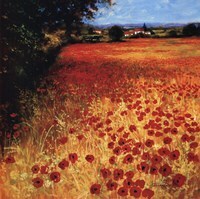 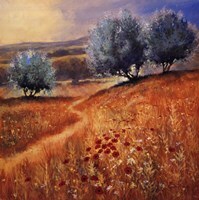 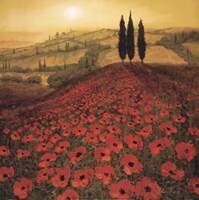 From rich golds to fiery reds, the viewer can feel like they are in the painting….sensing the earth beneath their feet. 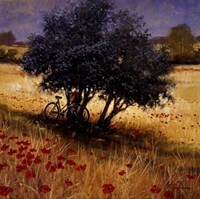 Poppies grow in the foreground and the occasional bicycle shows up in his work, by the side of the road… the rider stopping spontaneously for a short hike. 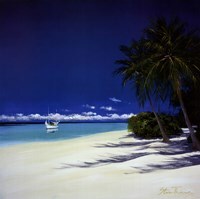 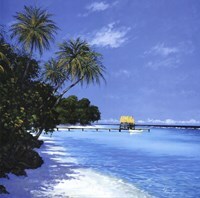 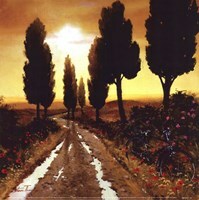 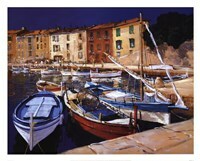 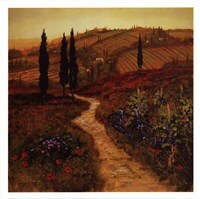 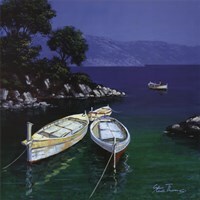 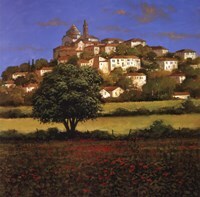 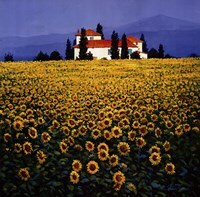 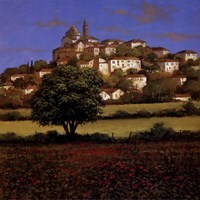 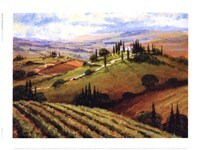 Thomas lives in England and enjoys painting English countryside, as well as the golden hills of Italy.